At the heart of today’s optimistic farm-to-table food culture is a dark secret: the local food movement has failed to change how we eat. It has also offered a false promise for the future of food. Our concern over factory farms and chemically grown crops might have sparked a social movement, but chef Dan Barber, recently showcased on Netflix's Chef's Table, reveals that even the most enlightened eating of today is ultimately detrimental to the environment and to individual health. And it doesn’t involve truly delicious food. 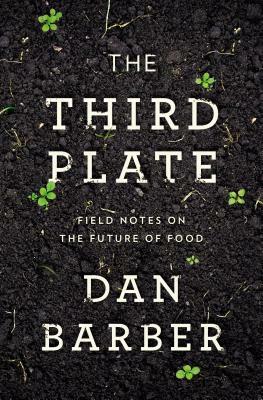 Based on ten years of surveying farming communities around the world, Barber’s The Third Plate offers a radical new way of thinking about food that will heal the land and taste good, too. The Third Plate is grounded in the history of American cuisine over the last two centuries. Traditionally, we have dined on the “first plate,” a classic meal centered on a large cut of meat with few vegetables. Thankfully, that’s become largely passé. The farm-to-table movement has championed the “second plate,” where the meat is from free-range animals and the vegetables are locally sourced. It’s better-tasting, and better for the planet, but the second plate’s architecture is identical to that of the first. It, too, is damaging—disrupting the ecological balances of the planet, causing soil depletion and nutrient loss—and in the end it isn’t a sustainable way to farm or eat. While the third plate is a novelty in America, Barber demonstrates that this way of eating is rooted in worldwide tradition. He explores the time-honored farming practices of the southern Spanish dehesa, a region producing high-grade olives, acorns, cork, wool, and the renowned jamón ibérico. Off the Straits of Gibraltar, Barber investigates the future of seafood through a revolutionary aquaculture operation and an ancient tuna-fishing ritual. In upstate New York, Barber learns from a flourishing mixed-crop farm whose innovative organic practices have revived the land and resurrected an industry. And in Washington State he works with cutting-edge seedsmen developing new varieties of grain in collaboration with local bakers, millers, and malt makers. Drawing on the wisdom and experience of chefs and farmers from around the world, Barber builds a dazzling panorama of ethical and flavorful eating destined to refashion Americans’ deepest beliefs about food. DAN BARBER is the executive chef of Blue Hill, a restaurant in Manhattan’s West Village, and Blue Hill at Stone Barns, located within the nonprofit farm Stone Barns Center for Food & Agriculture. His opinions on food and agricultural policy have appeared in The New York Times, along with many other publications, and he was recently showcased on Netflix's Chef's Table. Barber has received multiple James Beard awards, including Best Chef: New York City (2006) and the country’s Outstanding Chef (2009). In 2009 he was named one of Time magazine’s 100 most influential people in the world.